SUV sales in China have been climbing like mad. There have been 48 percent more registrations for SUVs in the first quarter of this year than there were last year. A quarter of cars registered in the first quarter were SUVs. And it’s not because people in China are offroading every day. It’s because they want defense against road rage. China is one of the fastest growing auto markets in the world, and with that, there is a growth of violence on the roads. 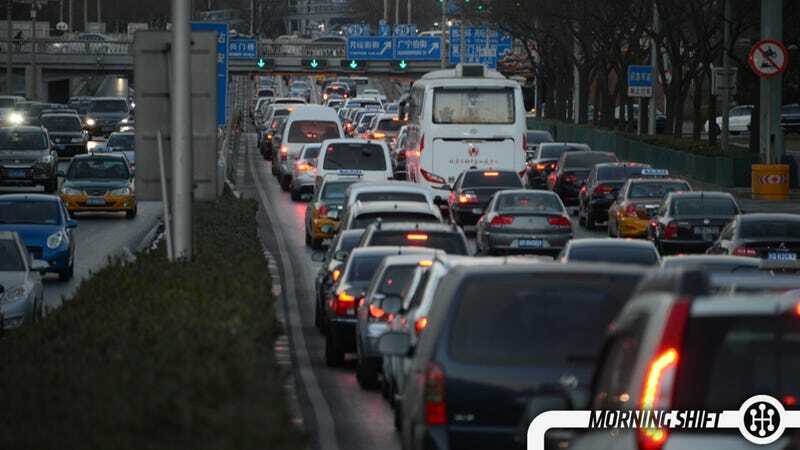 Road rage, along with rough roads and low prices, is a definite contributor to why people are buying so many SUVs in China. It sounds a lot like the SUV boom in the USA years ago. We had lower fuel prices, a number of models on the market, and the higher seating position made many drivers feel safer while they were on the road. It seems the same is true here, though ramming capability might be an actual buying concern. If you weren’t tired of hearing about the ginormous Takata hearing or tired of hearing politicians blab on and listen to their own voices for hours on end, man oh man are you in luck! The US House’s Energy and Commerce committee — specifically the Commerce, Manufacturing and Trade Subcommittee — will be holding the hearing to “get to the bottom” of the recalls. What will actually happen is we’ll have congress asking a bunch of questions and holding up an airbag, and Takata officials will offer apologies and indirect answers to questions. Look for it to start next Tuesday. Two former executives for NGK, the Japanese company that makes spark plugs, O2 sensors, and more, have been indicted for participating in price fixing. Supposedly they’ve been involved in the scheme for a long time, possibly as early as 2000. The two execs, Norio Teranishi and Hishashi Nakanish, have both retired from NGK and lvie in Japan, and it isn’t clear if the US will seek extradition for them yet. Many executives from Japan who have been in the same boat have avoided prosecution by staying in Japan. That could happen here too. As part of GM’s $5.4 billion push to invest in domestic plants, $1.2 billion of that money will be put into GM’s Fort Wayne, IN truck plant. The main investments will be in a new paint shop and body shop, along with some other changes and upgrades. All this plant does is make the Silverado and the Sierra, so this is a big upgrade to an important piece of the GM puzzle. In your weekly GM ignition update, three more death claims and eight more injuries have been approved, bringing the total to 107 deaths and 199 injuries. On this day in 1937, the Golden Gate Bridge, connecting San Francisco with Marin County, California, officially opens amid citywide celebration. Do SUVs keep you away from road rage?